Deliciously scented pink candle in decorative frosted pink glass holder. Great girly gift idea. 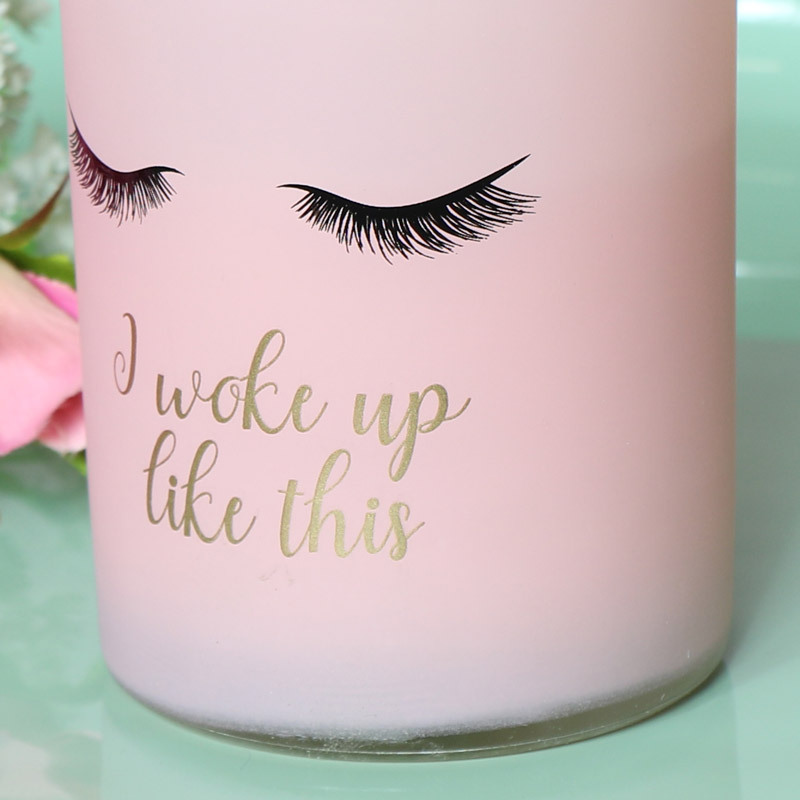 Decorate your bedroom or boudoir, sweet scented candle with eyelash decoration on the jar above the words 'I woke up like this' printed in gold lettering. Stylish addition to any room, will make a great gift idea for anyone that loves candles and fragrance. 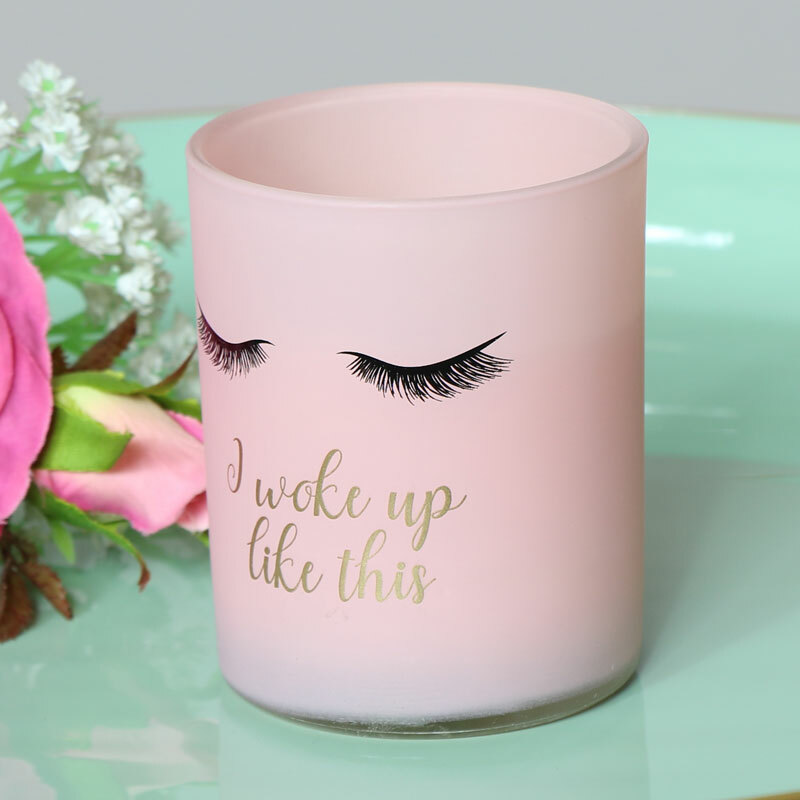 Deliciously scented pink candle in decorative frosted pink glass holder. Great girly gift idea. 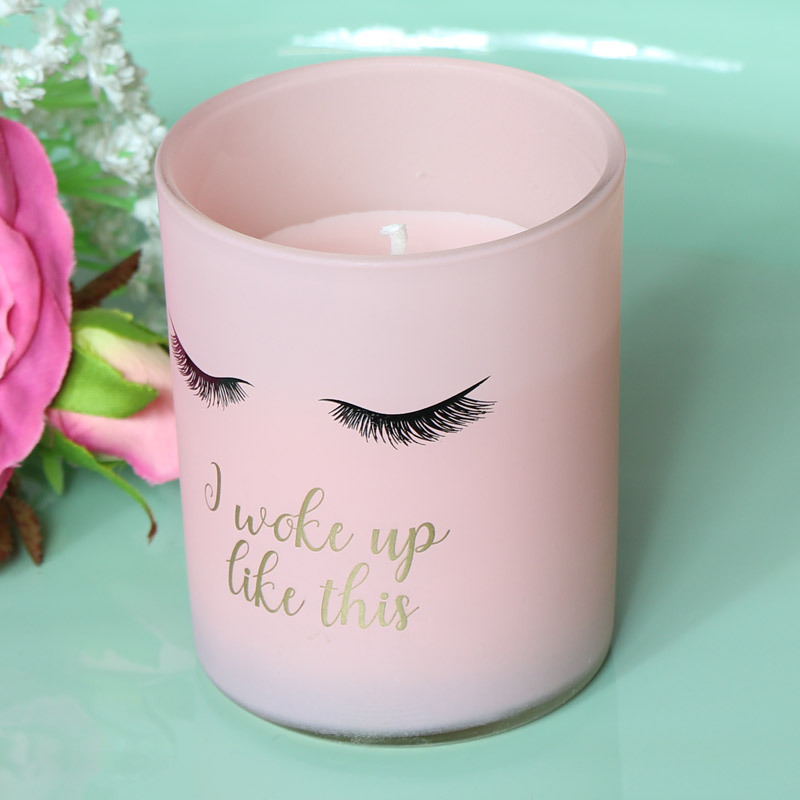 Decorate your bedroom or boudoir, sweet scented candle with eyelash decoration on the jar above the words 'I woke up like this' printed in gold lettering. Stylish addition to any room, will make a great gift idea for anyone that loves candles and fragrance. Scented pink wax candle in a frosted pink glass candle holder. With a great range of gifts and home accessories, you're sure to find that perfect present for a loved one, friends or family.